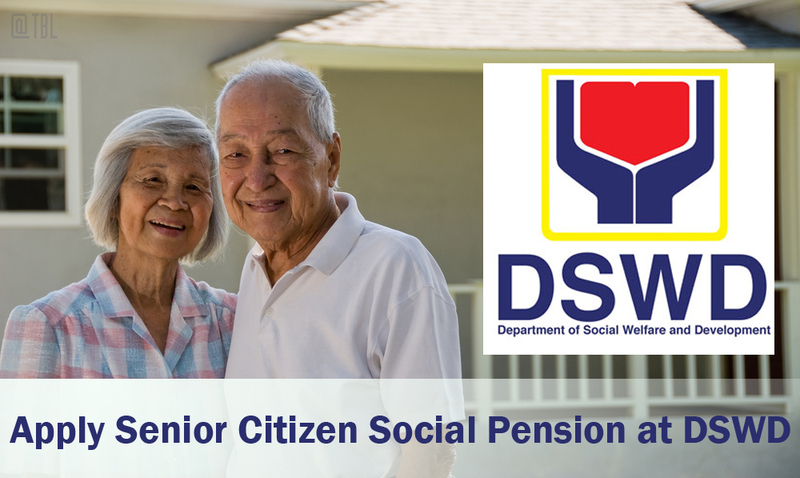 How to Apply Senior Citizen Social Pension in DSWD - Exam News, Reviewer, Military Career, & Everything [MN] . . The Department of Social Welfare and Development (DSWD) has announced that indigent senior citizens aged 60 years and above may now apply to avail of the agency’s Social Pension Program. Lei Madeline Espiritusanto, DSWD regional information officer, told the Philippines News Agency the application can be submitted to the City Social Welfare and Development Office (CSWDO) or at the Office of the Senior Citizens Affairs (OSCA). Eligible to apply are the following: indigent senior citizens 60 years old and above; and senior citizens without a pension from the Social Security System (SSS) or Government Service Insurance System (GSIS). They are advised to bring with them their Senior Citizen identification card and certificate of indigency when they submit their application documents. Espiritusanto said the applicants will be assessed by the social workers and will endorse the application to the DSWD regional office for final approval. They are entitled to receive PHP1,500 social pension per quarter. However, Espiritusanto said the qualified applicants are not expected to immediately start receiving pension since they will be included in the pensioners’ waitlist. “They will wait until such time there will be a replacement which happens by death or delisting of senior citizen pensioners,” she said.